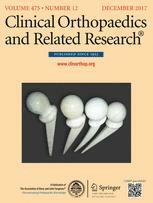 Can Original Knee Society Scores Be Used to Estimate New 2011 Knee Society Scores? Prior investigations have recognized the presence of patient-perceived noise generation after total knee arthroplasty (TKA). 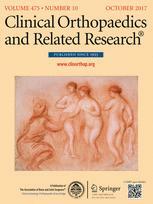 However, questions remain regarding its overall frequency after both TKA and unicompartmental knee arthroplasty (UKA) as well as with respect to its association with demographic and prosthesis-related factors and its association with patient-reported outcomes. 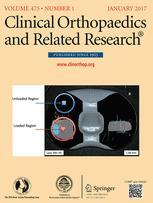 The purposes of this study were (1) to determine the frequency with which patients report noise coming from the knee after TKA or UKA; (2) to identify patient and prosthesis-related factors associated with noise generation; and (3) to ascertain whether noise coming from the knee is associated with residual symptoms after knee arthroplasty. A five-center survey study was designed to identify patient-perceived noise and to quantify the degree of residual symptoms and functional deficits in patients after TKA or UKA. Data were collected by an independent, third-party survey center, which administered questions about residual symptoms, function, and pre- and postoperative activity levels. Patients meeting prespecified inclusion criteria were specifically questioned regarding perceived noises from their knee within the last 30 days; those who reported hearing noises sometimes, often, or extremely often were categorized as positive. We retrospectively identified 2671 patients who underwent TKA and 744 patients who underwent UKA and who met inclusion criteria; the final survey population included 1580 patients who underwent TKA and 476 patients who underwent UKA (68% response rate). TKA implant types included cruciate-retaining (59%), posterior-stabilized (16%), rotating-platform (13%), gender-specific (7%), and high-flex (5%). Differences in baseline demographic variables were accounted for using multiple logistic regression statistical analyses. 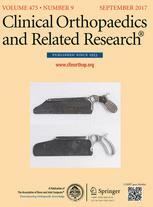 Chi square analyses were used to compare the frequency of residual symptoms in those patients with and without noise generation. 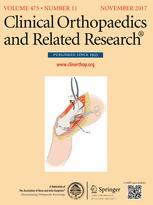 Overall, 27% (557 of 2056; 95% confidence interval [CI], 25–29) of all patients undergoing knee arthroplasty reported hearing grinding, popping, or clicking from their operative knee in the last 30 days. Men (odds ratio [OR], 1.3; 95% CI, 1.0–1.6; p = 0.02) and younger patients (χ[df = 7] = 67.3; p < 0.001) were more likely to report noise generation. After controlling for potential confounding variables, noise generation was more common after TKA (29%) than UKA (21%; OR, 1.5; 95% CI, 1.2–2.0; p < 0.001). Among TKA designs, the likelihood of noise generation was greater in posterior-stabilized (41%; OR, 2.5; 95% CI, 1.8–3.7; p < 0.001), rotating-platform (45%; OR, 2.8; 95% CI, 1.9–4.2; p < 0.001), and gender-specific (36%; OR, 2.0; 95% CI, 1.2–3.2; p = 0.007) designs than in cruciate-retaining (23%) knees. Patient-perceived noise generation was associated with residual symptoms, including difficulty getting in and out of a chair (38% versus 25%, p < 0.001), limp (39% versus 25%, p < 0.001), swelling (42% versus 24%, p < 0.001), and stiffness (40% versus 23%, p < 0.001) compared with those who did not report noise generation after TKA. Patients frequently perceive noises coming from the knee after arthroplasty, more so in TKA than UKA. Patients reporting noises from the knee were more likely to report functional limitations and the presence of a limp, swelling, and stiffness. Surgeons should inform patients preoperatively of this possibility, because unmet patient expectations are known to negatively impact patient satisfaction after surgery. Subsequent investigations should focus on determining if there is a causal relationship between noise generation and residual symptoms after knee arthroplasty.